I spent over half an hour warming up on the back road, not very structured but at least I was spinning my legs! Then finally the time came for ‘number 29’ and 5,4,3,2,1… and I was off….giving it beans up to Elsham corner! I felt reasonably OK and I kept a strong steady rhythm going (probably too hard!) until I hit the six mile mark and then my legs just felt like lead and the pace dropped off dramatically! I finally clocked a 24:47 which I was absolutely gutted with! Needless to say I need to look at some more specific training to ride a decent TT which will have to wait until after my C2C on the 27th June 2015! I think I may also need to revisit my positioning on the bike looking at some of my recent photos! 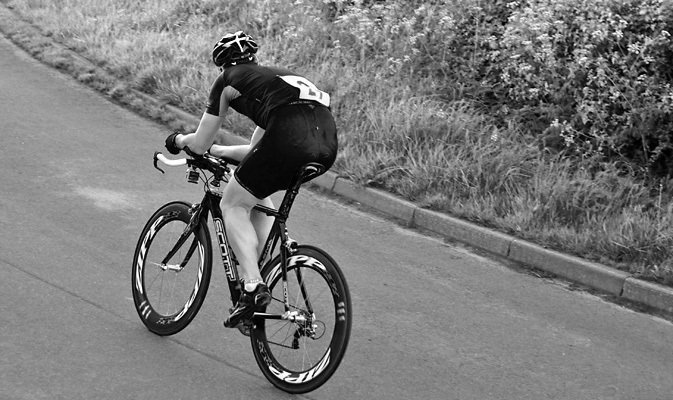 Here’s an on-board video of my TT effort at the C10/7 course with Barton Wheelers CC.